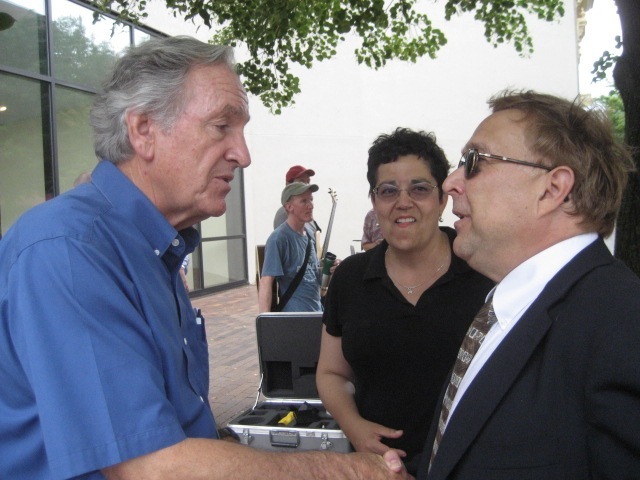 The photo above demonstrates that Iowa Senator Tom Harkin knows when to wear shirt sleeves and that I do not. Senator Harkin’s abiding interest in helping people with disabilities is indeed legendary and it was an honor to have the opportunity to shake his hand. Indeed, it was an honor to hear him deliver remarks on the historical significance of the ADA, and of the ADA Restoration Act of 2008. Perhaps the most important thing the Senator shared with his Iowa City listeners was the absolute importance of continuing the fight for equitable health care and social services.